Jirav's beautiful dashboard displays all your financial and non-financial data in one place. By default, on the first of the month all the monthly tiles on your dashboard roll forward automatically. But as we all know not all data is ready to be consumed until the books are closed. The new Close Month feature lets you control when your dashboard gets refreshed. You simply set the tiles to use the Close month instead of the Current month, and Jirav takes care of the rest. 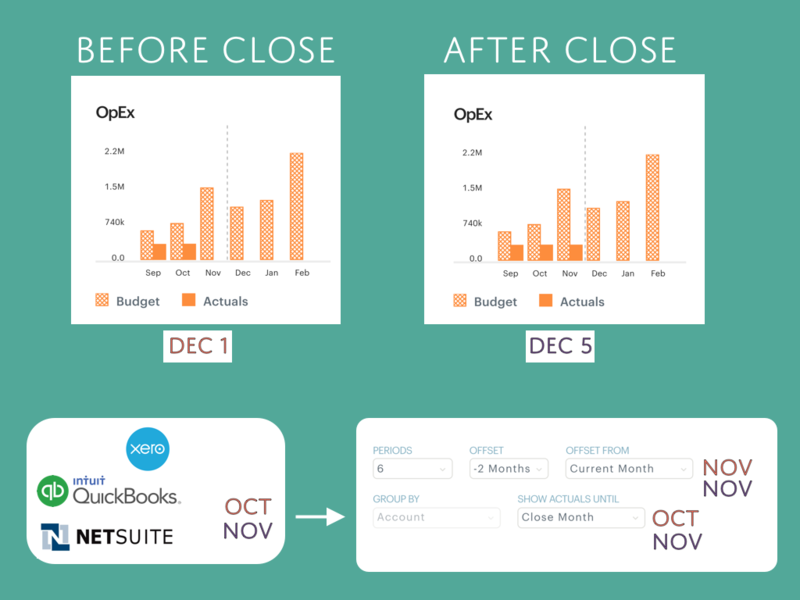 As and when you close your books in your accounting system, the dashboard will update automatically. This is yet another feature to simplify your workflow and reduce the work needed to get your job done. Try it out and let us know what you think! Start your free Jirav trial today!